Every person is a person. Each of us represents individuality with a special set of character traits, interests, life positions. We communicate we walk, we travel, we go in for sports, and for each occupation, we need a dedicated wardrobe. After all, clothes – this is what allows a person to realize their desires, their ideas, and even goals. A beautiful image helps to gain self-confidence, to find complete comfort, to enjoy the convenience and own beauty. But correctly pick up clothes often is not so simple, especially in the fall. Here you need to take into account not only the season and your personal tastes but also fashion trends, the compatibility of colors, styles and things in general. Autumn combination of clothes should be simple, comfortable and relevant right here and now. And if you cannot decide the choice in any way, we will gladly help you out of the stupor. Meet the most fashionable combination of clothes for the autumn season of 2018! Fashionable ladies were lucky – among the autumn trends was at least one, which is fully applicable for domestic latitudes. 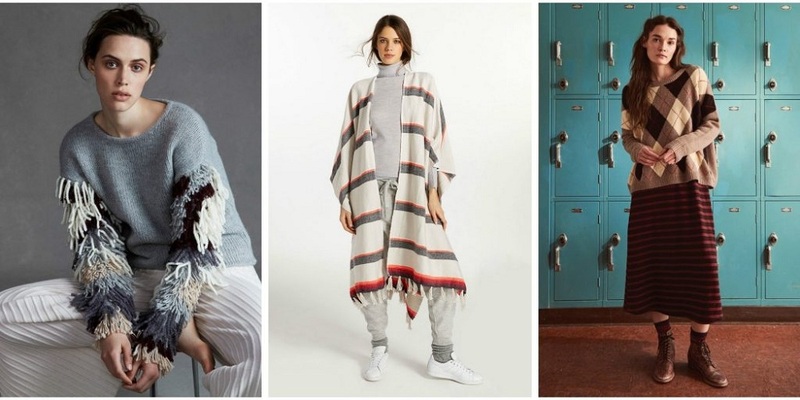 The name of this trend is Hugg, and at first, it may seem that this is an exclusively sporting trend: down jackets, fleece sweatshirts, sports pants, warm-weather type sneakers. At first, you will not notice the difference, but if you look at the opening possibilities a little more closely, you will find out that in reality, everything is far from what it seems. Try to consider this trend from another angle. Mix the sport with your home comfort, and you will get Huge. Fashionable combinations of clothes within this trend are sportswear and cozy chalets, knitted sweaters with uncomplicated patterns, leather pants, woolen stockings, etc. Do not be afraid to experiment, and you will be surprised at how vivid and non-standard images can be created by crossing two opposite styles.Keep readingromantic style clothing. Romance is, in no way, a new trend in the fashion world, but right now it is at the peak of its popularity. And more freedom was given to the romantic style in the collections of exquisite “royal” dresses. Look likes the queen of the overseas state – this is now fashionable. Therefore, when visiting a store of elite things, especially closely study those combinations of skirts with a jacket and those dresses that literally give away aristocracy and luxury. 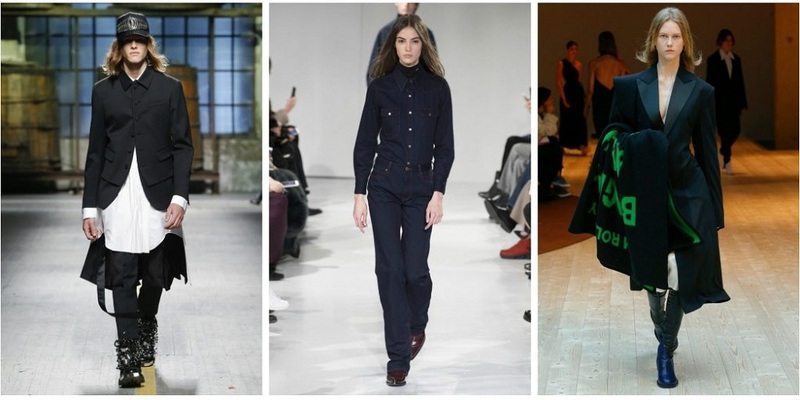 Expensive fabrics, expensive colors, expensive designs – combinations of such clothes this fall are among the trendiest. Choose things from silk, brocade, jacquard, combine them with expensive pearls, diamond and gold ornaments, wear a branded handbag of velvet-blue or exquisite wine, and a unique image will be provided to you. It is interesting that some Western stylists advocate that women wear such clothes both in the evening and in the afternoon. In realities, this is hardly appropriate, but you can visit an important event in a truly royal dress – no one will forbid it. The modern fashion industry does not recognize any caste, age or any other restrictions. It gives its admirers freedom of choice, equality, and brotherhood. Opportunities are given to everyone, and everyone can declare themselves, dressed in denim colors of indigo. However, the revolutionary style this year is much more accurate, individual and ascetic. Be prepared to try a combination of skirts with a blouse of identical colors. Blue, black, gray. In the framework of this direction, all the colors of the dark palette, as well as urban accessories are welcomed. Outwardly, such combinations are very much reminiscent of the mafia, stylized as global human expansion. Strict dark women’s skirts, vests, jackets, and raincoats – all this will help you to realize the idea of a trend style in life this falls. If the previous combinations were full of seriousness and restraint, then in the subject of lace people are given far more freedom of choice. Lacy decor on clothes is akin to ridiculing serious and unshakable themes. You can show everyone around you that you are a creative person, that you are overwhelmed with positive things and are ready to solve any problems that will meet on your way. And by solving these problems will be the process of turning them into a common joke. You all perceive easily and without unnecessary excitement. What is the combination of a skirt? With a translucent cloak. How to complete a bright lace dress? Simple contrast accessories! Mottled combinations are welcome. Especially if you live in a city. In the crowd, invariably choosing black down jackets and blue jeans, you will become a bright glimpse of fashion and style. And be sure that only a person with a great spirit can decide to take such a step. Wardrobe, formed on the basis of “lacy” principles, is characterized by impracticality, negligence, irrationality. Here everything goes against our usual habits and prejudices, therefore this trend is considered one of the most daring. 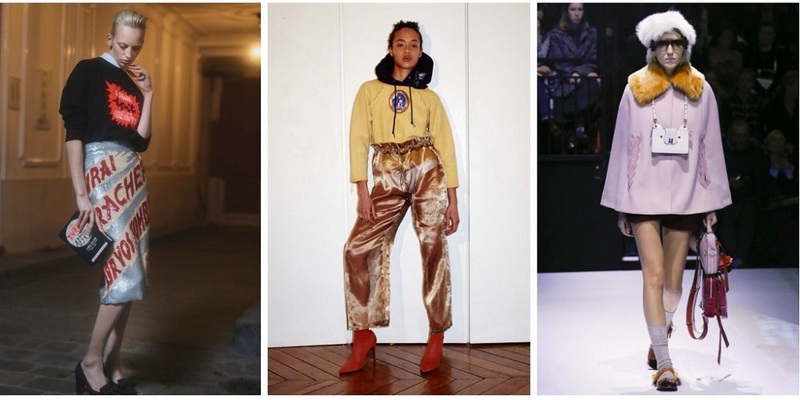 The style of Parisian bohemia is a trend that will suit women of any texture. Things in a similar wardrobe are universal, perfectly combined with each other and with equal success sit down on all types of figures. Another thing is that the usual combination of a skirt with a shirt will not be able to expose you in a favorable light. Here you must have either your own developed taste or a friend who will tell you what to wear. Otherwise, you run the risk of crossing a fine line between refinement on the one hand, and irrelevance – on the other.